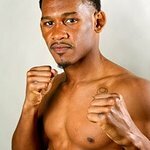 Boxer Daniel Jacobs is the former NABO and NABF Middleweight champion. He founded The Get in the Ring Foundation (GIR) in 2012 to highlight the education of youth, literacy, and health. The vision of Get In The Ring is to acknowledge the needs of children around us in the areas of cancer, obesity, and bullying; to ensure we become the solution for their problem. As part of this vision, the Get In The Ring Foundation partnered with medical leaders and local businesses to help educate people about this disease and erase the stigma that’s often attached to cancer, obesity, and bullying. Google trends for "Daniel Jacobs"
We don't have any videos related to Daniel Jacobs.